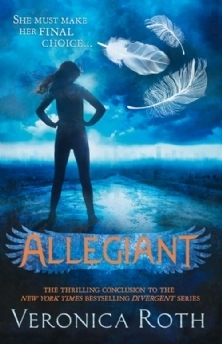 2014 Reading: #10 Veronica Roth’s Allegiant – It's Time to Read! Book number 10 in 2014 was Allegiant by Veronica Roth. This is the final book in the Divergent series and like the others, I really liked it! I found the beginning of the book quite slow as there was a lot of background and science to add into the story but by halfway the storyline had picked up and was full of the action and suspense that we have come to expect in the books. I don’t want to say too much here or in the review as I don’t want to give anything away but I will say this: you need to read this series! It is one of the best trilogies I have read. I have rated this book 4 out of 5.